Fiscal Year 2017 was the first year of our Five Year Strategic Plan. It was a year of growth, and we’re well on track to make our five-year vision a reality. While I’ll let the numbers speak for themselves, I’d like to highlight some significant achievements. CSH served more than 8,800 people in our Fiscal Year ending June 30, 2017. That’s incredible! Our Vision and Hearing Clinics experienced significant patient growth over the prior year. 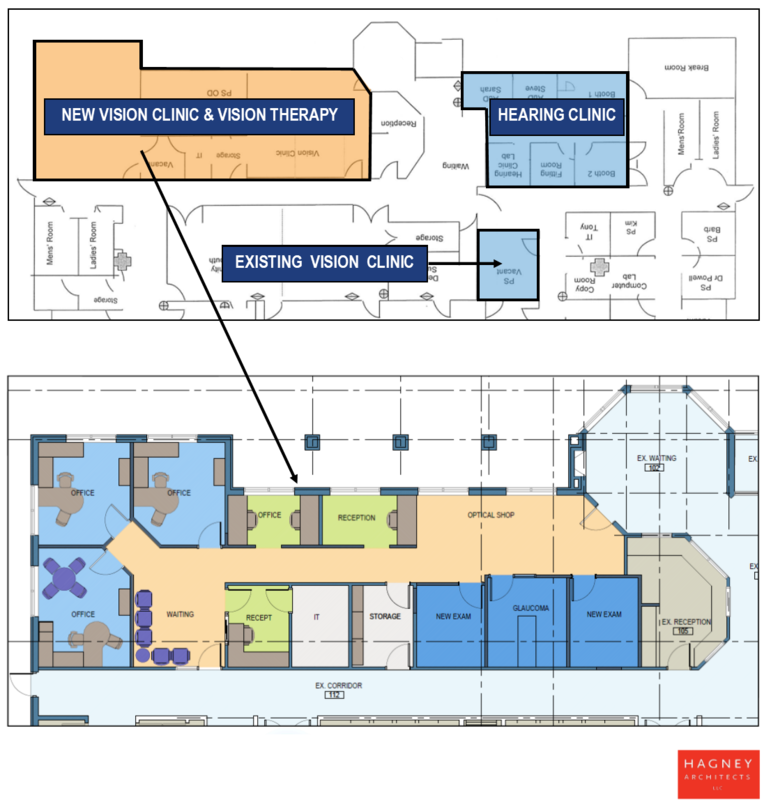 The Vision Clinic grew by 21.9%, while the Hearing Clinic grew by 5.4%, for a combined 9.8% increase. Because of the patient growth in the Hearing Clinic, we hired a third full-time Audiologist last, Dr. Steven Taddei. Other accomplishments include CSH receiving $29,000 in grants and fundraising donations from the Illinois Fraternal Order of Eagles, $30,000 from the Northwestern Illinois Area Agency on Aging (NIAAA) to provide hearing aids for low-income seniors, and a $10,000 Lions of Illinois Foundation grant. Plus, our fundraising events revenue increased by 33%! Lastly, CSH completed a rebranding effort which includes a new logo design and website. But the good news doesn’t stop there! We are now in the process of expanding our Vision Clinic from 340 square feet to 1,900 square feet. We will have three exam rooms to our current, one. In addition, we’re reconfiguring space for support services such as Low Vision Rehabilitation Services, Orientation & Mobility Training, Low Vision Occupational Therapy, and professional clinical counseling. And most of all, thank you to our Board of Directors, staff, donors, supporters, partners, and volunteers. Because of you, we are able to serve the integrated needs of individuals and their families through state-of-the-art facilities, programs, research, and technology. Yes, it’s been quite a year!